Grafenwoehr, Germany — U.S. Army Garrison Bavaria’s dining facility and many Army dining facilities throughout Europe have transitioned from cash only to accepting credit and debit card payments as of Sept. 21. The steps have been completed by the Department of the Army setting up debit and credit card units. 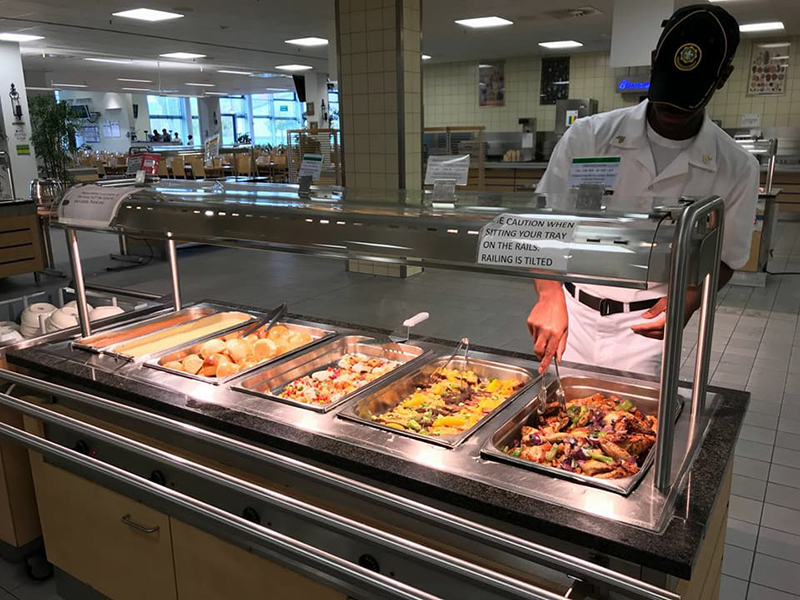 The dining facilities have completed preparing personnel at nearly 15 of Europe’s garrison dining facilities. All training with this process has been completed here in USAG Bavaria. The systems accept a wide range of cards, including American Express, Discover, MasterCard, and Visa. The transition to the convenient card method is in line with the broader development of Army force modernization exercised Army-wide. With this new implementation, the Army is confident the upgrade will make it more convenient for patrons to pay. “I think this process is definitely moving in the right direction. Any process assisting our meal card holders, I think should be considered,” said USAG Bavaria Command Sergeant Major Micheal Sutterfield. The systems of government that initially tested and implemented the modification included the 405th Army Field Support Brigade, which operates in Europe. “I was elated with the news of the new enhancements. With the implementation of the debit-credit card process. It makes my job a lot easier with reconciliations and audits,” Sgt. 1st Class Eric Grooms, Ever Vigilant Café Dining Facility Manager. To stay in touch with its customer base, every couple of years the Department of Defense surveys military members. This is one result from submitted surveys. The military ensures that you are given a nutritious meal. Now you have more than one way to pay for it. For more information, please contact Ever Vigilant Café Dining Facility at DSN 475-9064, CIV 09641-83-9064.